Crusades are a thing of the past, but not for long. Perhaps you thought Indiana Jones had the last crusade in the late ’80s. Nope. There’s another crusade that’s sweeping across Saskatchewan in the name of the Canadian Rescue Hovercraft Pilots Association, aligned with the Saskatchewan Snowmobile Association: the 250 Crusade. 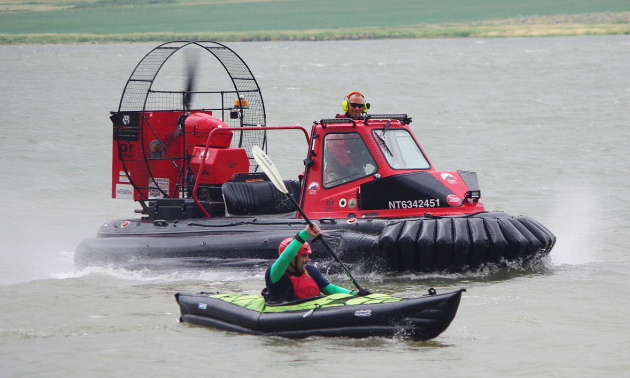 The 250 Crusade aims to save prairie recreationalists’ lives by raising $250 from 250 organizations or individuals to go towards Amphibious Response Support Unit (ARSU) ONE, a division of the Canadian Rescue Hovercraft Pilots Association (a registered non-profit organization). The $62,500 in funds raised will complete the purchase of the AR45 Hovercraft, which the organization has received for trial purposes. Once the purchase is complete, remaining funds will aid in specialized equipment needed to carry out their missions. Besides a traditional hovercraft, ARSU’s arsenal includes an air responder, an amphibious snowmobile. 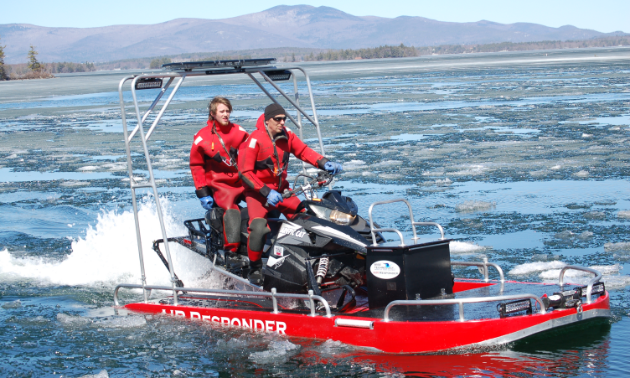 The rider can convert the air responder from a long-track snowmobile into an ice rescue platform that utilizes an outward shell made of a fibreglass hull. The floatable unit has a low freeboard, keeping it close to the water. The snowmobile clamps into additional skis that are located underneath to provide steering. The vessel is propelled forward by the snowmobile’s tracks that are equipped with ice studs. The air responder transitions between ice and water via hydraulics, allowing the driver to change the trim of the tracks. If you think sliding a snowmobile from ice to water sounds like a blast, you’re absolutely right. Even when it isn’t on ice or water, the air responder turns heads. If you’d like to see the hovercraft and air responder with your own eyes, you have a couple of upcoming opportunities. 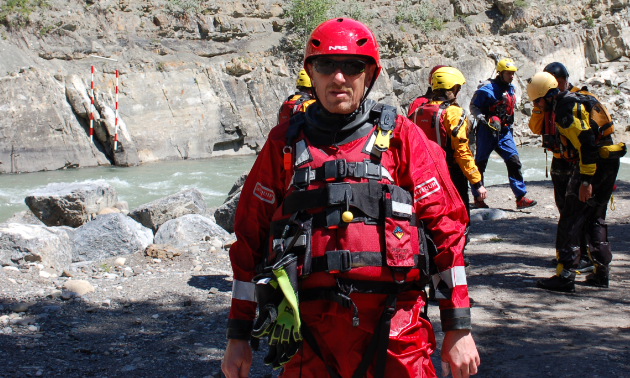 John Maczko and the Canadian Rescue Hovercraft Pilots Association will have booths set up at the Spring Home Show’s Outdoor Adventure Show in Regina on March 28 to 31, 2019, as well as at the Parkland Outdoor Show and Expo in Yorkton on April 6 and 7, 2019. To support the group’s 250 Crusade challenge, donate via PayPal on the organization’s web page or use their GoFundMe page. John Maczko doesn’t believe in making things unnecessarily complicated. 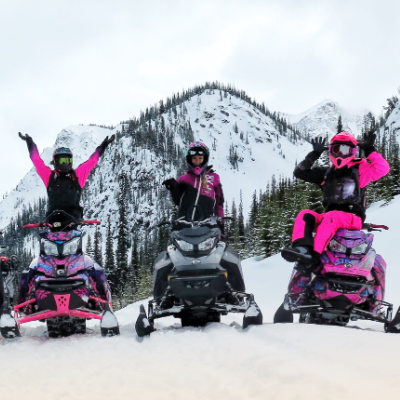 Here are three basic tips snowmobilers and ATVers can use before going on an outing. Plan your trip/outing for the worst-case scenario. Tell someone where you’re going and how long you’re going to be. If you’re going on an ATV trip, make it a point to say, ‘I expect to be home at 8 o’clock tonight. I’m gonna call you as soon as I get the ATV back to the truck. If you don’t hear from me by 8:30, call me. If you can’t reach me, please call 9-1-1 and tell them that I’m not back and I’m supposed to be.’ That’s when you start the process of alerting people. If you’re going to be near ice, take some ice picks with you. Have an emergency case. A lot of people go out, even if it’s on their own farm, and they won’t let people know where they’re going. It’s -10, -20, -30 C. Precious hours are lost and there’s no search team going for them. Very rarely will searches be done at night. Search teams are really impacted by vision impairment at night. It puts the searchers in danger as well. 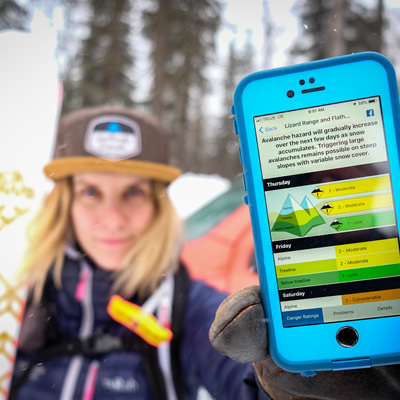 Know what to take with you and what to do in case of an emergency. If you can’t swim, don’t go on the water. Prepare to go through the ice if you’re going to be near the water. If you prepare for it and it happens, you’ll have the proper knowledge of how to get yourself out of that situation. Snowmobiles and ATVs don’t float. If you’re unsure of how deep the water is, don’t take an ATV in. 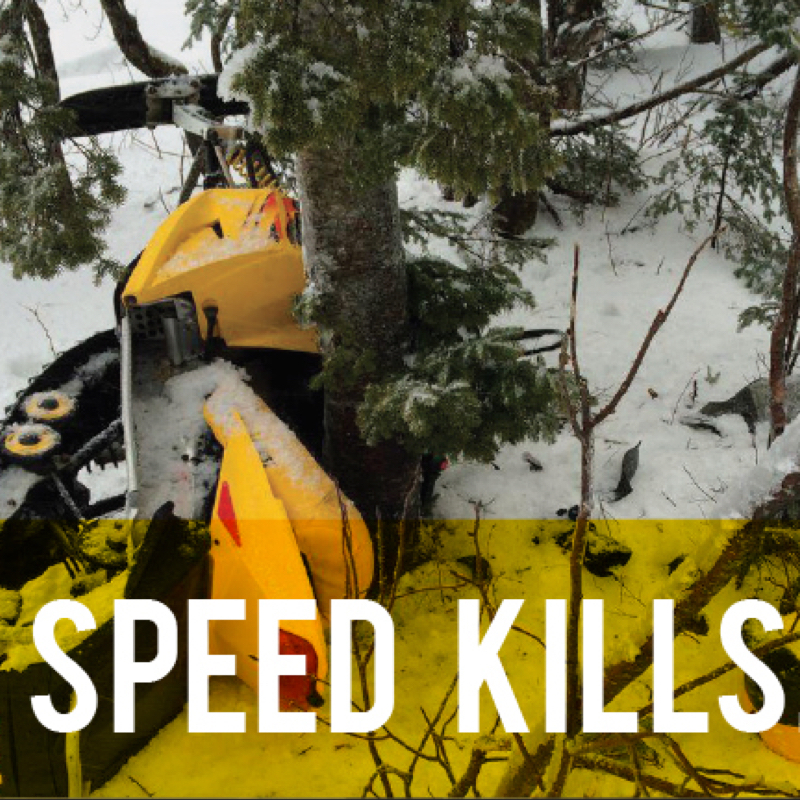 If you’re unsure of how thick the ice is, don’t take a snowmobile across a lake or river. If there’s any doubt that something is unsafe, it probably is. Just using common sense will allow you to avoid the majority of the incidents that could happen.